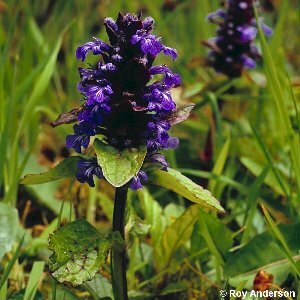 A common herbaceous creeping species of damp woods and grassland, with bright blue flowers of the 2-lipped kind typical of the plant family Lamiaceae (=Labiatae). 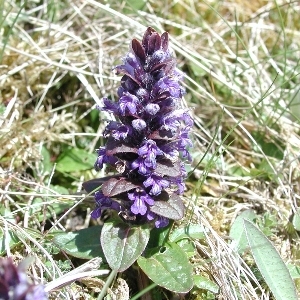 The leaves are frequently bronze colour. 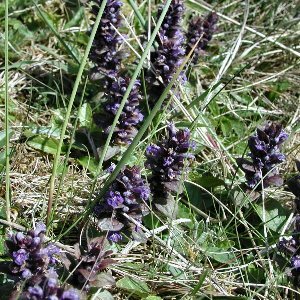 All names: Ajuga reptans L.